A few weeks ago, I drove down to Duncannon to meet my friend Rob to paddle Sherman Creek. There were several thru-hikers on the Appalachian Trail relaxing and passing through Duncannon as we began to run our shuttle. 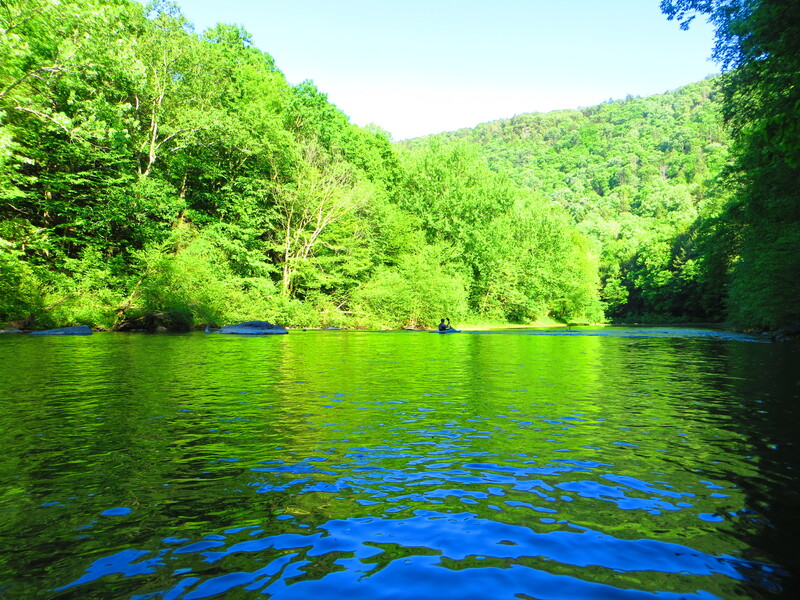 Sherman is a beautiful creek that flows through pastoral countryside and up along high forested ridges. It is located north of the Harrisburg area. We began at Shermans Dale and parked at a gas station. The USGS gauge there indicated the creek to be about 1.7 feet; 1.5 is considered the minimum. This was enough water for kayaks, although 2 feet is probably more ideal for canoes. The creek was a pleasure to paddle from the start as it meandered through forests and up along bluffs and ledges. There were no significant rapids, other than easy riffles over cobbles and low ledges. The water was pretty clear and revealed a streambed often comprised of bedrock with ridges that were diagonal to the stream. The stream was mostly untouched with only a few cottages, and there was virtually no litter. The bird life was amazing with mergansers, herons, ducks, and brilliant white egrets. Turtles were often found on logs and exposed rocks. We also saw several water snakes. 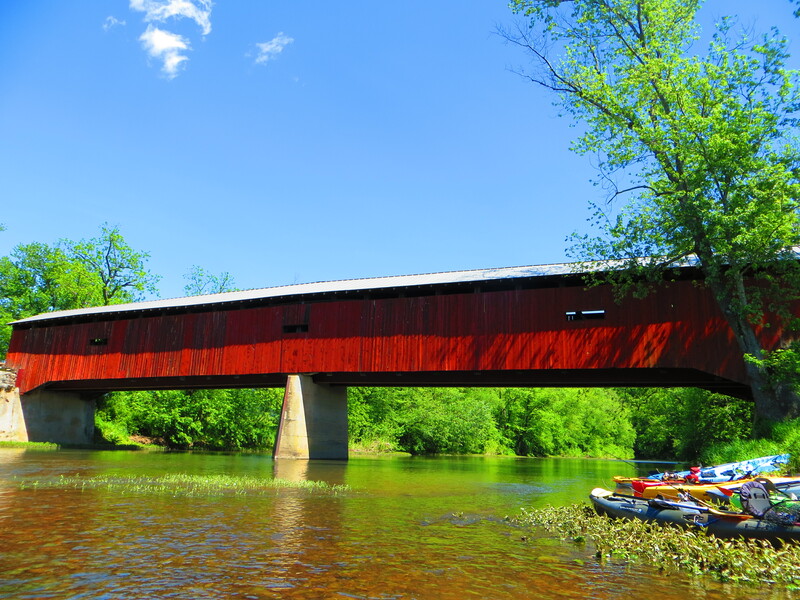 We soon reached a long covered bridge at Dellville which is a popular take-out. The next four miles were slower as the creek widened to the size of a river. There were more cottages and fields along the creek. A highlight was a large, sloping cliff that towered over the water. After crossing under another bridge, the scenery picked up dramatically as the creek flowed along Cove Mountain and entered a beautiful gorge with some large rocks and steep, forested slopes. The cliff for Hawk Rock, a view along the Appalachian Trail, towered high above us. Again, the “rapids” were easy. The creek widened again and soon brought us back to Duncannon, where we took out, right before Sherman Creek joined with the massive Susquehanna River. The trip from Shermans Dale to Duncannon is about 13.5 miles and it took us about 5 hours. There were only a few places where we scraped.